Memo shoes monitors, prevents, and corrects foot deformities in pre-school and school age. It is very important to prevent and correct ankle pronation, knocked knees, tip toe walking, pigeon toes, and improve flat feet in time from a young age. Memo System Technology will show feet condition of your child just in two weeks and will give you an answer to very important questions: need your child to wear orthopedic inserts or not, what shape of orthopedic inserts will fit, need you consult with your phisiotherapist regarding feet health? Memo shoes helps to prevent foot deformities for more than twenty years. The shoes were evaluated in Europe by doctor of medicine, podiatrist, medical rehabilitation specialist. The shoes equipped with Thomas heel to treat and prevent ankle pronation. Upper and lining are made of high quality genuine leather with foam-padded elements in sensitive areas for better comfort. Shoes are equipped with a thermoplastic asymmetric stiff heel counter for proper feet protection and stabilization. 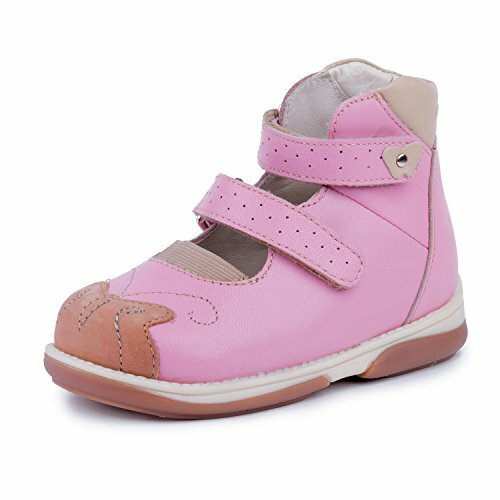 The shoes also fits children with cerebral palsy (GMFCS 1, GMFCS 2). Designed and produced in EU. If you have any questions about this product by Memo, contact us by completing and submitting the form below. If you are looking for a specif part number, please include it with your message.